Treatment can be quick and painless. Live the rest of your life in comfort. DO YOU NEED AN APPOINTMENT ? MAKE ONE NOW! Our multidisciplinary group of providers consists of top-tier musculoskeletal and orthopedic physicians, pain specialists, podiatrists, chiropractors, acupuncturists, and physiotherapists. Our board-certified and licensed team of providers have a proven track record in the accurate diagnosis and cutting-edge treatment of assorted musculoskeletal, orthopedic, and spine ailments. Conservative (non-operative), minimally-invasive, and surgical options are available and individually planned/tailored. 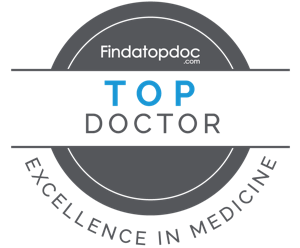 Our network of experienced and compassionate providers will deliver dependable results and surpass expectations. Please visit the About page for a full list of the insurance companies we work with. Dr. Petros and his staff are fantastic. I needed to have reconstructive surgery on my ACL and after a great amount of research on the orthopedic surgeons in the area and getting referrals from my friends and family, I decided to visit this office. I am so glad that I did. I am four months post-op and couldn’t be happier. It feels better than ever and I am back to playing sports again. I took my son Tim to see Dr. Petros. Tim needed to have lateral release surgery and was quite nervous about it. Dr. Petros did a fantastic job of explaining what would happen before and during the surgery and what to expect after the surgery. He made sure that he answered all of our questions and really showed that he cared about my son and what he was going through. The surgery went well and my son was recently cleared to play basketball again. Thank you so much Dr. Petros!